It’s safe to say this election result has been nothing short of surprising. It was a complete opposite to the trends and victories we saw in 2015, and the ones we expected this year. But these results disappoint all involved; their aims all seemingly unachieved. Firstly, the Conservatives. The day the election was announced, May had a poll lead of 46% compared to a measly 25% for Labour. It was clear for everyone, even Labour, that the Conservatives would win this election comfortably. Theresa May was portrayed as a strong and stable leader, who would safely guide the country through difficult Brexit negotiations and end up with a successful deal for Britain. The public also felt the same way; for a while. But then came the manifesto. Filled with unnecessary and unpopular additions such as removing the ban on fox hunting, refusing to support a ban on ivory trade, introducing a so-called “dementia tax” and getting rid of free school lunches for primary school children - it hit all demographics. Not to mention the completely unachievable aim of removing privacy online and openly declaring they would spy on innocent people’s browsing and internet history, it proved they knew nothing about how the modern world works. The second thing which damaged the Tories was May’s refusal to defend herself on live TV. She refused to take part in any debates, and instead sent poor Amber Rudd, who had to appear on the important leader debate, 2 days after the death of her father. This led to other parties who did appear on various news channels and debates to take advantage of May’s weaknesses; they could attack and attack with no opposition. All of this destroyed the image the Tories portrayed at the beginning, with the phrase “strong and stable” becoming a big joke and instead used to subversively mock the Tories. It has led to the unstable and weak minority government / coalition that will lead the country in the coming weeks. Ultimately, this result is extremely disappointing for the Tories, despite them achieving their highest vote share since Thatcher. They failed to take a majority of their target seats, didn’t achieve the “super majority” they were expecting at the start and key figures lost their place in the chamber. It seems almost fitting the MP (Ben Gummer) who helped write the fatal manifesto lost his seat on election day. However there was one positive side for the Conservatives, they outperformed in Scotland, helping slice the SNP majority by a significant amount. It was only Ruth Davidson who really proved she was a leader on election day. Maybe that Scottish support could be utilised for national leadership ambitions? Who knows? Next up, Labour. From the moment Corbyn was elected as leader of the party, he had to deal with mass resignations and personal attacks. In his early days he dealt with all this very poorly, and the public saw him very negatively. 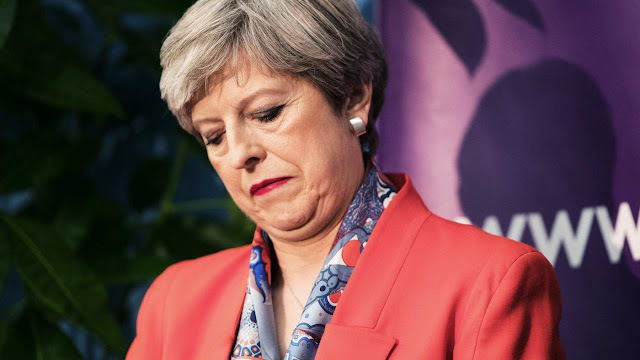 The general election did not help, with most people including some of his most ardent trade union supporters predicting a huge landslide for the conservatives. Corbyn never had a good week in the campaign. His impressive debate performances or speeches would be diluted with serious errors and blunders from Diane Abbott or comments and ideas from his past. His refusal to condemn his previous friendship with IRA sympathisers and figures, and his own opinions on the monarchy and trident harmed him at some stages. But, throughout the election campaign he grew and developed, and instead shrugged off constant negative press coverage, enabling him to bring the battle to areas he knew he could win people over on: the NHS, social care, poverty and education. Contrary to the Tories, the labour manifesto was a roaring success among many working class people, students, public sector workers and even the middle class. It offered hope and was a shining beacon in the mist and gloom of recent austerity and the rising cost of living. The manifesto however, was not free from criticism, with the IMF raising questions about the huge expenditure and cost it will take to enact, despite Labour’s claim it was “fully costed”. Corbyn’s charisma also shone through this campaign. Rather than Theresa May, who would speak to carefully selected audiences who occasionally applauded, Corbyn inspired passion. He spoke at huge rallies, shouting into microphones over chants and cheers from the crowd about Labour’s plans to reduce wealth inequality and fight for the many not the few. Indeed that phrase was itself a success; it was effective at connecting with people who felt left behind by the establishment politics of New Labour and the Conservatives, in particular non-voters and young people. He also got them to do something which Labour have been trying to do for years now: vote. This hope, mixed in with some passion and the background of an uninspiring Tory manifesto gave labour a much needed boost. Despite all of this, Labour still lost. Yes, they defied expectations of a Tory landslide. Yes, they won a lot of target seats. Yes, they got young people to vote. But Labour still lost, for the 3rd time in a row. They are consigned to another 5 years (presumably) to the opposition benches. While Jeremy still believes he can somehow form a government, it is important Labour do not get carried away and realise they have to have a rethink into how they become a GOVERNMENT party, not a protest one. Many of their policies are still stuck in dreamland and promote caution from the general public. They have to be open to rethinking and tweaking labour policy. If not, another defeat looms. This election also proved Britain is now a two-party system once again. The third parties all performed disappointingly in contrast to previous years. The Liberal Democrats gained a few seats, but certainly not anything like they had in 2005-2015, and former leader Nick Clegg lost his seat, causing great shock among Lib Dem ranks. The repair job from the 2015 wipeout is seemingly still ongoing. UKIP’s support absolutely collapsed. The 3.8 million votes they achieved in 2015 fell dramatically to a mere 500,000 (approximately) and they lost their only seat in parliament. Their goal of Brexit was achieved but they are still running with a confused stance and infighting among the national executive committee. UKIP has two options here: to either carry on as they are and hope to regain support in later years, or disband and reform as a different party. The latter seems like a more realistic option, as they can draw back their support from people who once voted for them but in this election voted for Labour or the Conservatives, by focusing on populist, right wing policies centred on immigration and integration. The Green Party failed horribly in their bid to capture the seat of Bristol West. In 2015, they were only 5,000 short of beating the labour candidate. At this election they poured all their resources into getting that elusive second seat. However, they came in a lame third place, with their share falling by 14%, with most of their previous support going to Labour. It seems the Greens will still be a one-seat party for many years coming. Finally, the SNP’s tornado victory in 2015 settled into a 19 seat loss, with many prominent party figures losing their seats. The seats they did keep were held with slim majorities. North East Fife for example was won with a 2 vote majority. It’s clear Sturgeon’s commitment to a second referendum is hurting their credibility in Scotland; many just want to accept the 2014 result and move on. The SNP, they feel, is holding them back from focusing on important issues such as education and poverty.